Service your vehicle with our trained professionals. Looking to take advantage of our expertise? 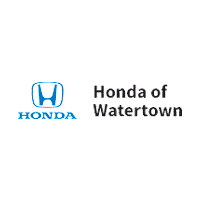 Honda of Watertown isn’t just standing by; we’re ready to get to work for you. Be sure to fill out our online contact form to get started, after which we’ll promptly confirm the details of your appointment. Call (888) 785-5936 to schedule your appointment today. See what our customers are saying about their Honda. At Honda of Watertown, we house new vehicles like the Honda Civic, Accord, CR-V, HR-V, Pilot, and more and with all of them, you’re getting a vehicle type for just about everyone, and in different trims that provide many different technology, safety, and convenience features, along with standout efficiency, and exterior and interior style to make the whole experience of driving a Honda comfortable and fun. Our team is here to provide you with all the details on each model, and let you see all the features and unique characteristics out Honda lineup has, while also letting you get a feel for it via a test drive, as well. You can even compare and research all of our Honda models, right here online!